Black Card Holder with Ball Pen Gift SetCombo pack of aluminum wallet (card holder and shinning cut ..
Combo pack of aluminum wallet (card holder and shinning cut metallic ball pen) this stylish combo set of aluminum wallet (card holder) and shinning cut metallic ball pen is a smart choice for men and women both and perfect gifting option for corporate, executives, professionals, clients, employees and business associates and for someone you revere. Aluminum wallet: this ultra-slim designed aluminum wallet is made of lightweight aluminum. This wallet is water-resistant and crush-resistant, it also keeps cards safe. Prevent electronic pick-pocketing, identity theft, and payment fraud by breaking blocking the personal information being sent by radio waves from your credit cards, passports, and other id cards. 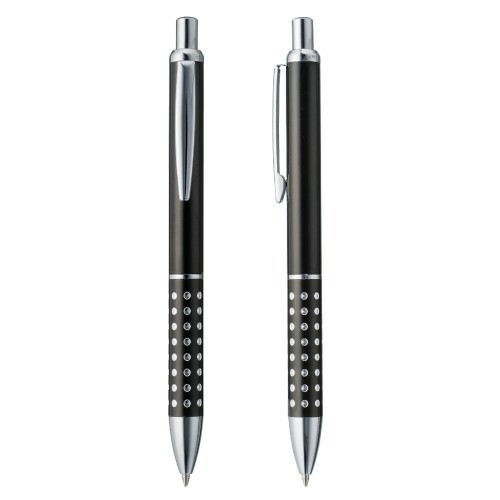 Metallic ball pen: this shinning cut metallic ball pen offers a comfortable & smooth writing experience. It looks very elegant and stylish. It adds to your personality. 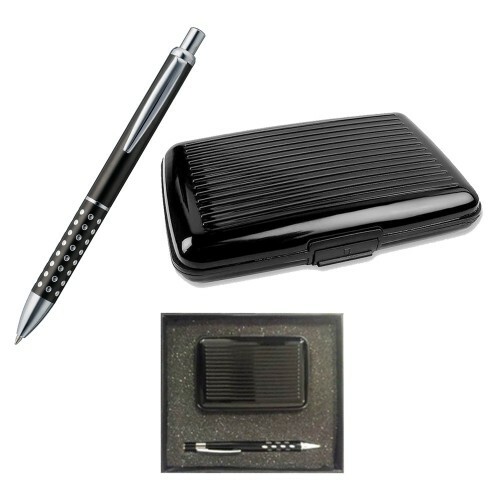 Whether it is peeping from your pocket or you are writing with it, you score a point while appearing for a meeting a client or your near dear ones. An excellent way to impress someone. Disclaimer: the images represent actual product though due to photographic reasons or resolution of your monitor colour of the image and product may or may not slightly differ.